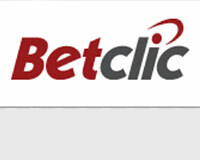 €10 FREE plus 200% Bonus on your first deposit. 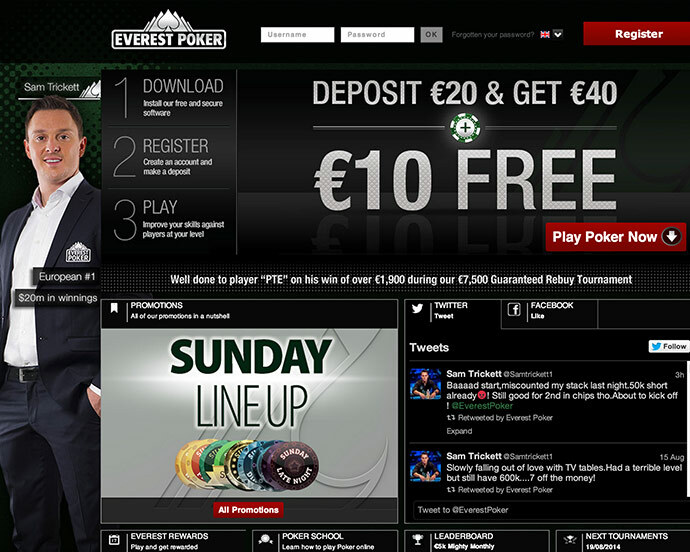 Up to a maximum deposit of €750 (to receive a €1,500 bonus). Deposit Methods: Bank Wire Transfer, NETELLER, Skrill, EntroPay, Maestro, MasterCard, paysafecard, Visa, Visa Electron. Languages: Czech, English, Finnish, French, German, Hungarian, Norwegian, Polish, Portuguese, Romanian, Swedish. Currencies accepted: Brazilian Real, Czech Korun, Euro, Hungarian Forint, Norwegian Kroner, Polish Zlotych, Pound Sterling, Romanian Lei, Swedish Kronor, United States Dollar. Join Everest Poker for their biggest event of the year: The Everest Poker Avalanche $1 Million Guaranteed! Spanning nine months, this massive tournament involves both online and live poker. The Avalanche Online Final will be held on September 15, 2007, at 15:00 GMT, and will stop when ten players remain. These ten finalists will win a trip to play the live final table at Everest's secret location. The ten finalists, plus one guest per player, will be flown to the live final location where they'll be treated to a weekend of high-roller luxury.